Part 1: Why Choose OpenPro? You already know that OpenPro is the first web-based ERP solution and has been serving customers since 1998. There are so many ERP packages to choose from, so why choose OpenPro? We welcome customers to make their own choices so that the final ERP product is what fits best with their industry and business operations. OpenPro tailors its ERP solutions to your specific requirements, providing confidence that your system will always be on the cutting edge of technology. Choose your server operating systems, database, and the modules you require. OpenPro is an open source product written in PHP and we make source code available to customers. Customers may purchase the software, bring it in-house or have it hosted ASP, Cloud Base, On-Demand or as a Software As A Service (SaaS) solution. We also have turn key software packages available using IBM’s Power8 Turbo LAMP solution. OpenPro and its partners are trained for a fast and structured implementation approach. Quick and efficient implementations save you money and offer a faster ROI. 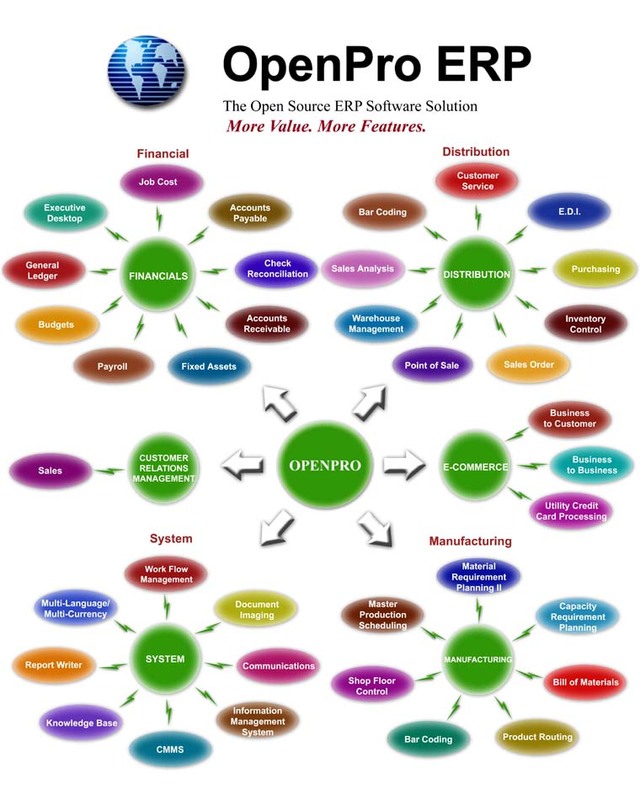 OpenPro has an exclusive “ERP in a day” program, to get your system up and running in one day. So, now you know the basics of why you should choose OpenPro ERP software. Next week we will be posting Part 2 of this blog series, featuring our ERP software details. Stay tuned! For more information please visit our website. If you have any questions about our ERP software packages, please email our customer service department: infoop@openpro.com or call: 714-378-4600.